We at raj housing & estates pvt ltd as an organization,believe that the quality of our construction must enrich the quality of the customers life.hence our emphasis has always been of effective space utilization ,superior craftsmanship,personal supervision,continuous r&d and exemplary finishes.we strive to achieve excellence through continuous improvement. 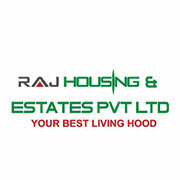 Formed in 2011 raj housing & estates pvt ltd has became one south india’s most respected reality companies. With ongoing projects across chennai the team at raj housing & estates pvt ltd has its eyes clearly set on the future, imbibing latest technology combined with a synergy of extensive experience,professional experts and constant focus on innovation. Raj housing & estates pvt ltd has many first to its credit,including the residential building in chennai,one of chennai’s first truly green homes and lots more. Incorporating the very largest technology combined with green building practices into every project, raj housing & estates pvt ltd buildings are future ready.the company ensures that the very highest quality and the safety standards are maintained at all the projects. Raj housing & estates pvt ltd creation is at good location with optimal space management,complimented by well planned interior layouts and excellent ventilation. Mr.r.sivaprakasam is the managing director of the raj housing & estates pvt ltd. A visionary ,a leader and a thorough bred professional,guiding the organization through its 21 year evolution into one of the biggest and most successful real estate companies in chennai. Mrs.v.akila director of the raj housing & estates pvt ltd. A versatile architect has creatively designed and developed over 50000 sq.ft. Laying the foundation for a multivertical, integrated real estate conglomerate.